The flow cytometer is used to analyze physical and biochemical properties of living cells. The instrument draws cells into a flow cell where they scatter the light from a laser. The degree of scatter gives information about the size and internal complexity of the cells. In addition by labeling internal molecules (typically proteins) in the cell with fluorescent chemicals, we can obtain information about cell function. 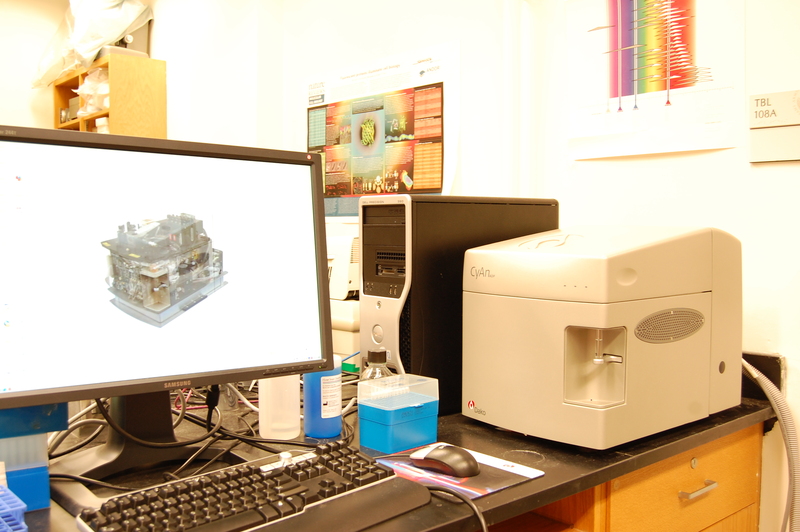 Our instrument uses 3 different lasers allowing us to simultaneously examine several proteins at once.